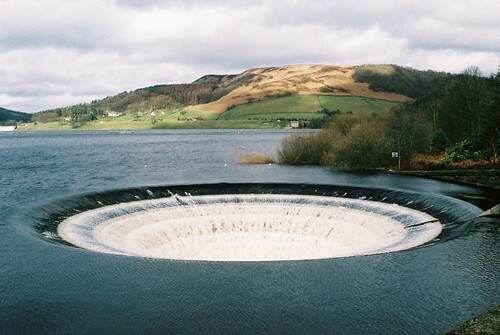 The so called "hole in a lake" is actually a spillway for automatically controlling the maximum level of a lake, created by a dam. Unlike other spillways these spillways are surrounded on all sides by water and from top these look like a hole in water surface. 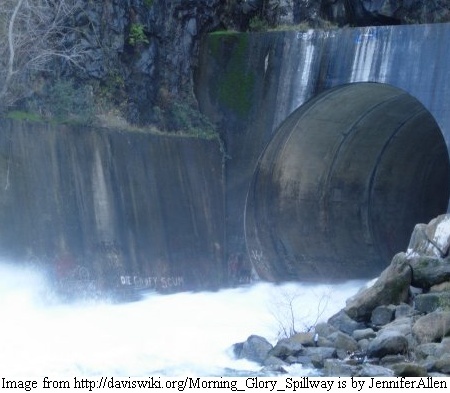 Such spillways are also known as morning glory hole or glory hole or plughole or inverted bell-mouth spillway. Ladybower Reservoir, Upper Derwent Valley, Derbyshire, England. (Two numbers - 24.3 metres - 80 ft each). Berryessa Lake, Monticello Dam, California, USA (22 metres - 72 feet). 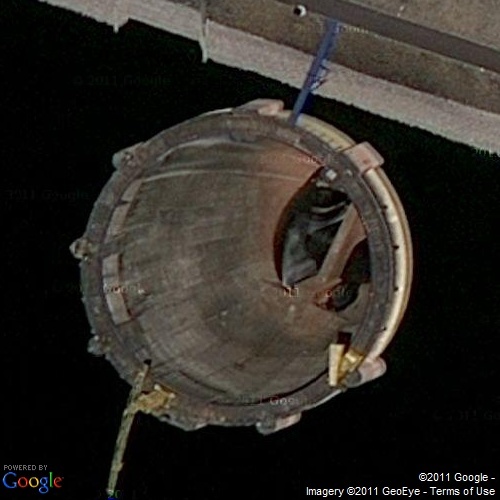 The largest morning glory hole in the World is located in the Jatiluhur Reservoir, Java Island, Indonesia. Although the shape of the the hole is not like a morning glory flower but technically it is a morning glory type spillway. The diameter of the opening is whopping 90 metres (295 feet). The cylindrical shaped tower is multi-purpose and besides being a spillway it also acts as intake for water turbines and Irrigation channel located underneath the tower. The vastness of this hole can be gauged by the fact the its diameter is larger than the sum of the diameters of three next large holes in the World and it is also more than 3 times than its nearest rival at Whiskeytown lake!! Credits: BridgePlayer for finding it and making a post about it in GEC Forum. 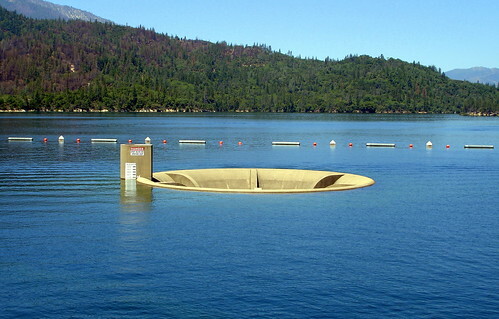 The morning glory hole type spillway in the Whiskeytown Lake, Shasta County, California, is the second largest hole in a lake in the World. The spillway crest has a diameter of 26.8 metres (44 feet) and the bore gradually tapers down to 7.5 metres (24.5 feet). Credits: I am thankful to Maria Kokokovitch for bringing this to my knowledge. 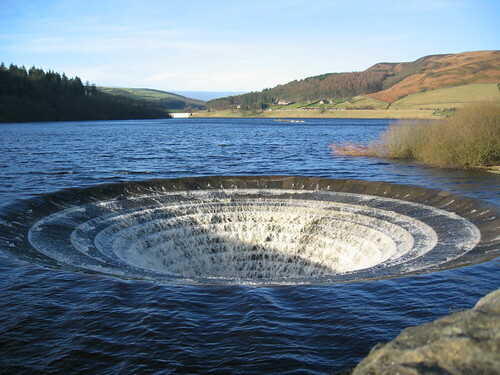 This hole in the Ladybower Reservoir, Upper Derwent Valley, Derbyshire, England is World's Third largest and Europe's largest bellmouth Spillway. Such spillways are provided in many man made lakes to automatically maintain the level of the lakes. 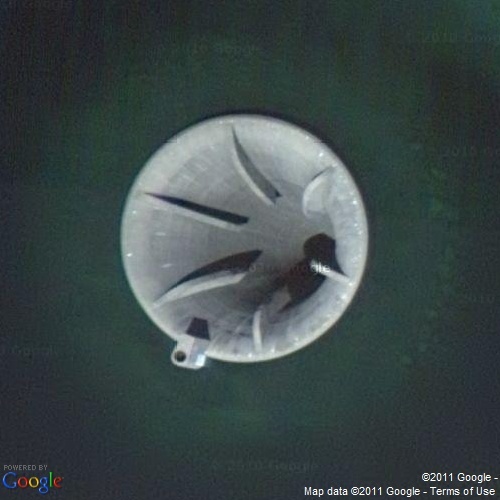 These are designed like an inverted bell and are commonly called morning glory hole, plughole, glory hole, or bell-mouth spillways. 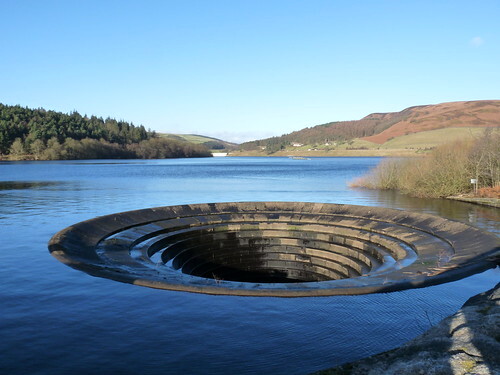 The Ladybower Reservoir has been provided with two bellmouth overflows (locally named the 'plugholes') each having inlet diameter of about 24.3 metres (80 ft) which tapers to about 4.5 metres (15 ft) at its exit located at the base of the dam. Credits: I am thankful to Anonymous for bringing this to my knowledge.